Showing 1 - 10 of 16 Products for Disc Brake Caliper. 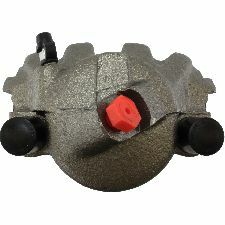 A Plastic Cap Plug Protects Every Brake Port Thread To Ensure Trouble-free Installation. Calipers Are Treated With A Special Formulated Rust Inhibitor And Kept In The Original Equipment Finish. Mounting Bracket Is Included Where Applicable For A Hassle-free Installation. New Stainless Steel Hardware Clips And New Mounting Pins Are Included Where Applicable. New Washers Are Included Where Applicable For A Proper Seal. Rubber Seals Are Replaced With New High Temperature Epdm Rubber For Extended Life And Optimum Performance. 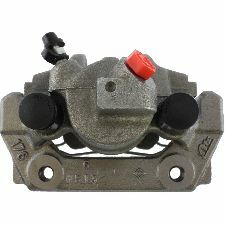 Brake calipers are critical parts of the brake assembly. 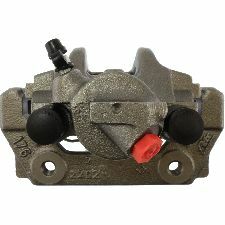 This Centric caliper is remanufactured to ensure predictable and reliable performance while providing long service life. To achieve like new condition and protection from rust, the part is tumble blasted then treated with an anti-corrosion finish. 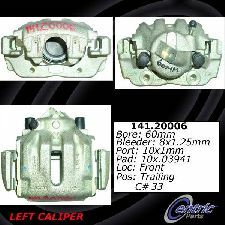 The caliper is 100% pressure tested and inspected to guarantee proper operation and fitment. Hardware and brackets are included, where applicable, to facilitate an easy installation. 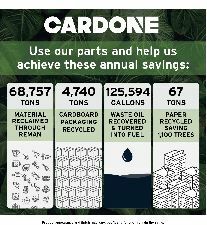 Founded in Southern California in 2000, Centric® achieved recognition for its aftermarket and brake components systems worldwide. 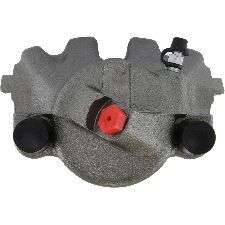 Today the company is a leading manufacturer and supplier of brakes, big brake kits, high performance brakes, calipers, discs, rotors, pads, racing brakes, fluid, aftermarket brakes, armored vehicle brake upgrades, big brake kits (BBKs), OEM brake systems for everyday cars, heavy-duty vehicles, and high performance cars. All Centric products are known under the StopTech, C-Tek, Centric, and PosiQuiet labels and backed by quality research and development.